For children ages 6-17 who need to develop a sense of calm, control, and empowerment. Each amazing day will be three full hours of cognitive coaching with the MINDCAP team and three hands-on hours of equine therapy with Summit Equestrian staff. Cost is $495, with half due by March 1 and final payment due May 1. Excellent for ADHD, sensory issues, anxiety, growth mindset, or brain fog. Please download and fill out the registration form below. Send completed registration forms to Dr. Zehr, director of the MindCAP Center, either by scanning and emailing them to her email address: jeanne@mind-cap.org or sending them via US mail. Feel free to call Jeanne at (260) 704-3336 with any questions regarding training. She'd love to talk to you! The MINDCAP Center (Dr. Jeanne Zehr, Executive Director) and Summit Equestrian Center (Allison Wheaton, Executive Director) are excited to announce a new partnership. 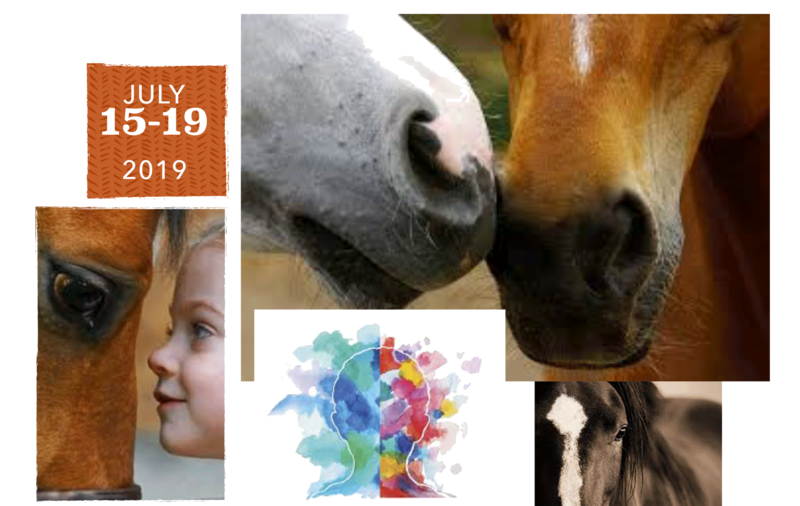 The first cognition equine camp will launch this summer, focused on calm, control, and empowerment for children with ADHD, anxiety, sensory issues, or brain fog. Sessions will begin at 8:30 and conclude at 4:30 each day. Campers will need to bring their own packed lunch. Supervision will be provided at all times for all campers. Each camper will be placed in a group of three or four campers close to the same age and needs. They will spend either morning or afternoon in MINDCAP classes developing cognitive skills for focus, impulse control, and planning with bridging to the use of those skills with the horses their other half day. Obviously - your child will be receiving far more than a typical, we-will-entertain-your-child-for-a-week day camp. This is significant coaching for improved cognition combined with equine therapy for calm, control, and empowerment.